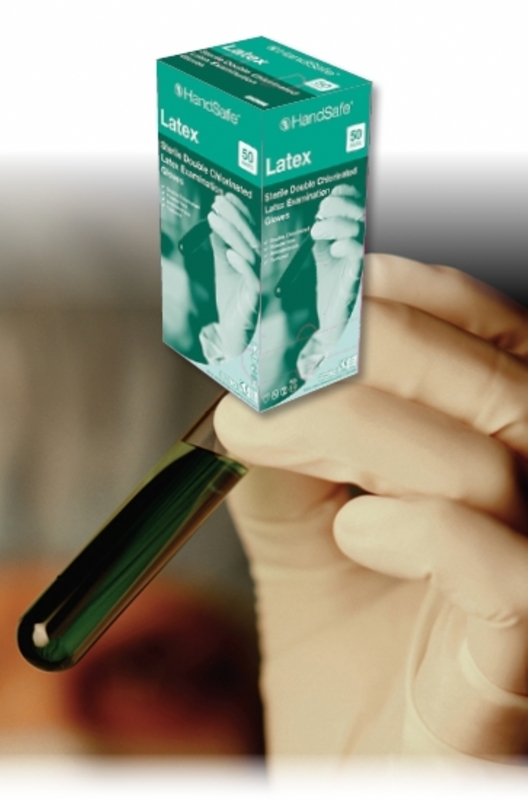 Sterile Latex examination gloves compliant with Class1 Sterile Medical Devices Directive 93/42/EEC (2007/47/EC) and its series of European Standards EN455 parts 1, 2, 3 and 4. Designed for medical procedures, offering a high quality and dependable sterile latex glove, low in extractable protein. Visually inspected for holes and minor defects. Random samples are filled with 1000 ml of water and examined for leaks. Tested to AQL 1.5 Manufactured from natural latex. Double chlorinated. Typical force at break: 6 Newtons. 240cm cuff. Ambidextrous. Gamma irradiated. Order 5 or more at a price of £46.00 per item. Order 10 or more at a price of £43.00 per item.